You can manually download this week’s ballistic podcast here, or subscribe to the show via the iTunes store. To manually subscribe, use this link in the device / podcast player of choice. You can also follow us on Twitter, or ‘like’ us on Facebook. 0:00 – Intro, which is a combination of the home run and bullpen music from Bases Loaded. 1:10 – A public service announcement, thanking our many YPB contributors. 47:30 – Emails. The guys talk Pokémon, vidya game weapons, and shows about vidya games. 1:11:00 – Snifferoo. We’re playing a spooookkkyyy game for next week. 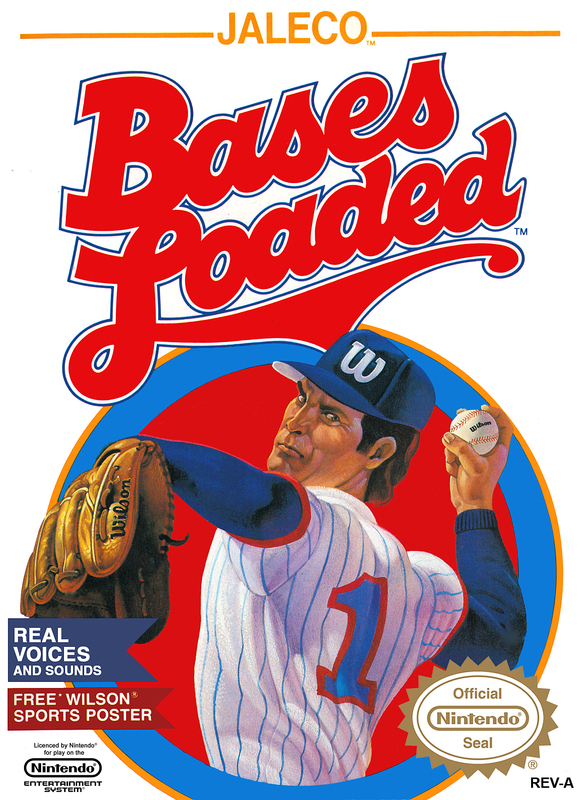 – According to Price Charting, most of the prices for the Bases Loaded series are pretty reasonable. The loose carts go for $2 to $8, whether we’re talking NES, SNES, PSX or Game Boy. The price of box and manual shoots it up to the $25 to $100 range, like most older games. The exception is Bases Loaded 4 for the NES though, which is $25 for a loose cart, since it came out late in that system’s lifespan (1993). – Video Power was a somewhat deranged, public access (seemingly) version of Nickelodeon’s Arcade. You can see an example of it on YouTube here. And yes, the host was that insane and creepy all the time. However, it had a cool end-game feature of getting to run through a mall, snatching games. Arcade was more normal and kid-friendly, and it can be seen here. – As usual, Wikipedia is a perfectly fine source for the Bases Loaded series, and what Jaleco is up to now. – Base Wars isn’t nearly as cool as Steve made it seem on the show, since the actual baseball of the game is kind of bad. But here is a YouTube video showing some of the different player types and gameplay aspects. One thing Steve forgot to mention on the show – You can throw at players with low HP, and they will explode into pieces at the plate.